Steven (Chicagoland, United States) on 21 December 2015 in Landscape & Rural and Portfolio. A rainy overcast day was in store during most of our stay in Glacier Bay National Park and Preserve in Alaska. But it helped accentuate the blue color captured in the glacier. Photo captured September 14, 2015. You have secured some wonderful images from that trip . . and they have meaning and message, too. Gorgeous color and clarity - bravo! A beautiful image of a world and its reverse. Perfect weather for shooting here. Bright sun would have ruined the effect of the subtle colors. I love this image. 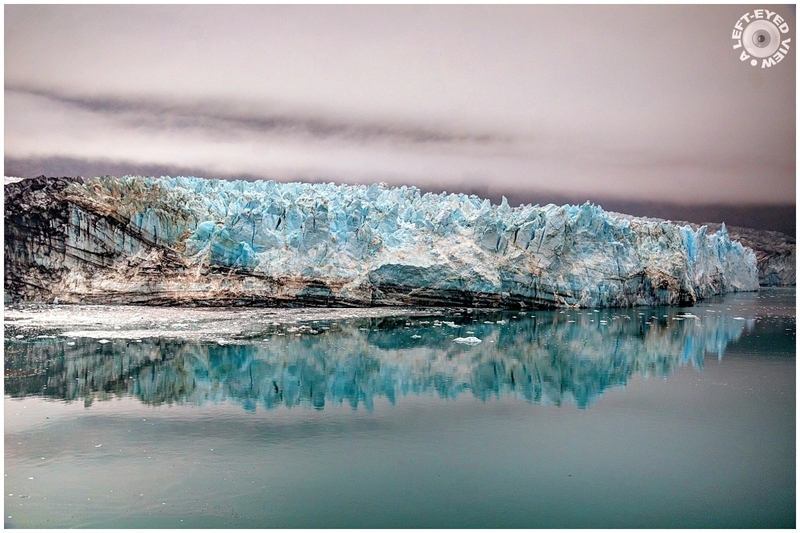 Stunning image ... the blue tones in the glacier are just wonderful !!! The iceberg looks absolutely sensational. Love the tones and detail - superb work! Quel bleu clair cette glace quell forme du glacier c'est somptueux. There is some beautiful old ice there. Very nice shot. A fine image of this glacier and its special color under these circumstances. A very successful picture. Wonderful colors. And the reflection adds an excellent symmetry. Have a great time. Amazing shot !! Beautiful reflections and nice textures. Stunning capture of the glacier & water reflection. and Merry Christmas to You and Yours, Stephen – enjoy ! Beautiful. I also love the reflections. Merry Christmas to you and your family. What a beautiful place! Wonderful and impressive shot! Very nice, a great picture. Have an Happy New Year, Steven. Have a great new year Steven. My best wishes for you and your family on this new year 1!! Happy New Year 2016, Steven !!! Excellent photo, best Wishes to You and Yours for 2016. That photo is spectacular.... and to be there viewing it must be awesome!! Happy New Year Steven, wishing you and yours all the best in 2016!! Love the blue - amazing. Great photo. Happy New Year and I hope 2016 will be great for you. Absolutely cold and brilliant ! That hue of blue is just...beautiful! Also a very happy new year to you ! Have a nice first week, Steven. Stunning. Beautiful reflections. Gorgeous colours.